How to have a tidy house and keep the kids entertained? Tell me more….!!! School holidays, especially the longer summer break can be a stressful time for all parents. 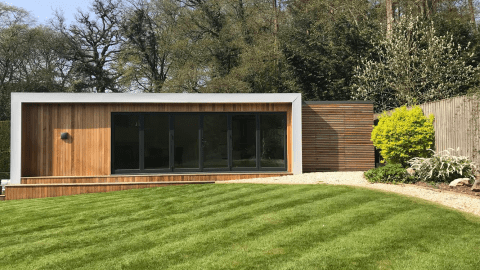 Our modern garden rooms offer some fantastic options for parents to keep their kids entertained whilst helping to keep the house tidy! If you have younger children then even if they have their own bedroom, toys can take over your house in no time! 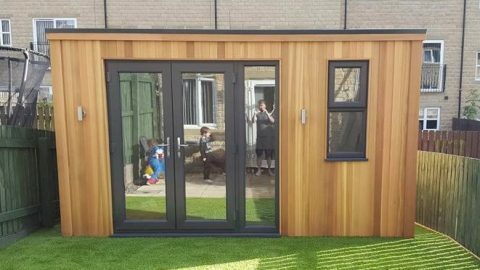 Lots of our customers are turning to our garden room solutions to build a playroom for their children in the garden. 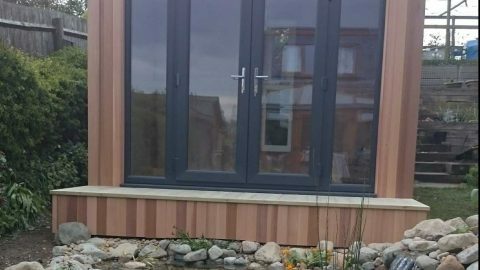 The children can play in perfect safety in the rain or shine and you can store all their toys in there too, leaving your house nice and clutter-free! 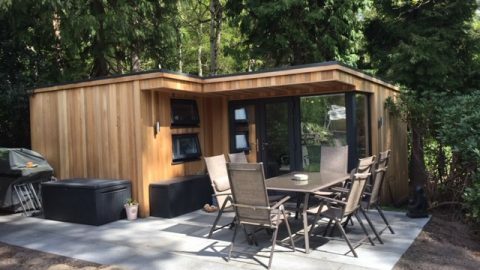 Kit one of our modern garden rooms out with some comfy seating and a huge TV or even a projector and you have your very own home cinema! 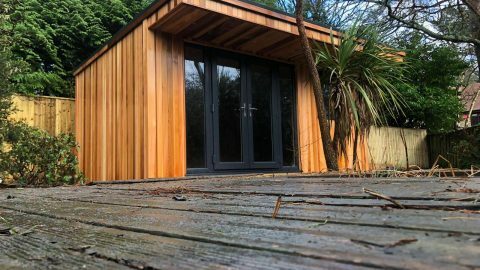 Your kids will love spending time in here watching their DVDs and the latest kids offerings on Netflix. It can also be useful if you have more than one child fighting over control of the TV remote in the living room. 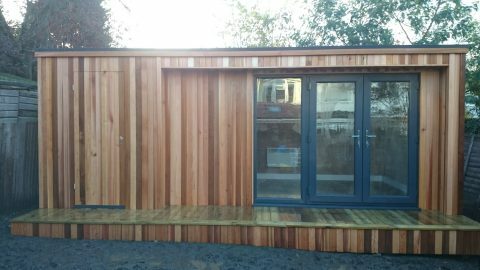 Now, one child can stay there whilst the other can enjoy the garden cinema. No more arguments! Being a teenager is a difficult time, especially as you begin to reach your older teens. Too old to enjoy children’s activities but too young to partake in adult activities like going to the pub, it is no wonder that this age group has been described as ‘the inbetweeners’. It’s at this age that many teenagers start to hang around street corners because there really isn’t anywhere else for them to go. They don’t want to sit inside the house with their parents and there are a severe lack of youth clubs and other activities for their age in many parts of the country. 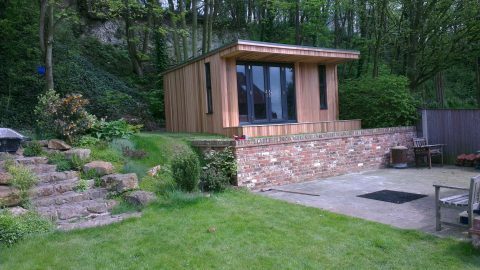 This is where our garden rooms can be so handy. 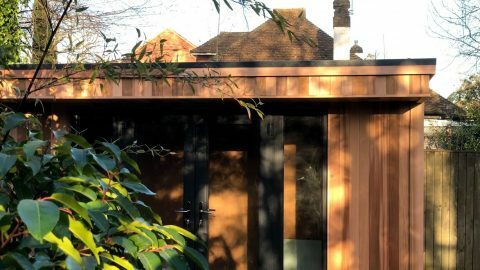 Placed in the garden away from the house and kitted out with a TV, some comfy sofas, gaming consoles and a fridge, it can be a fantastic hang out for your teenagers and their friends. They have their independence whilst you can still keep an eye on them. Wouldn’t you rather know what your kids are up to and that they are safe rather than wondering what trouble they may be getting into? Most parents acknowledge that learning a musical instrument as a child is a great idea, but depending upon the instrument, it can be a somewhat painful experience! In the old days, lots of children used to learn the flute or piano but now kids are wanting to play more exciting instruments such as the guitar or the drums. And they are LOUD! 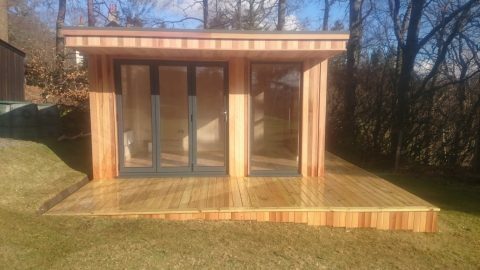 Our garden rooms can be fully soundproofed which means your kids can get lots of practice without disturbing you or the neighbours. You never know, you might have the next big rock star on your hands! « Could Your Garden Make You Money?